We know that your pet is an important member of your family. That's why the entire team at Richview Animal Hospital is focused on providing the best possible care for your pets. Our Etobicoke veterinarians and technicians provide professional and loving care for your dog or cat, and take every effort to provide the best health care for your animal. So whether you bring your pets to our Etobicoke vet clinic for routine and wellness care, general surgery, emergency services or treatment for an illness or common pet condition, you know you'll be taken care of. Here, you’ll find people who love their pets and are dedicated to providing the same compassionate care for your pet just as they do for their own furry animals. Led by owner and veterinarian Dr. Oliver Sterbinsky, our team is made up of knowledgeable seasoned veterinarians and veterinary technicians who strive to provide the best possible care for your pet. We offer a full menu of pet health care services to treat your furry friends including pet dentistry, vaccinations, boarding, spay and neuter, pet surgery, puppy and kitten care, parasite prevention, microchipping, nutritional and behavioral counseling. Our goal here at Richview Animal Hospital has always been to assemble a leading veterinary care team committed to providing exceptional client service and veterinary health care. At Richview Animal Hospital, your pet receives the highest level of medical, surgical and emergency care possible. From spay and neuter services to more complex surgical procedures using state-of-the-art diagnostic veterinary technology, we operate with health and safety in mind. Using the best diagnostic equipment, we treat a wide variety of pet illnesses, from common pet infections to more longer-term, chronic conditions. Our staff displays an unrivaled commitment to our clients through continuing education, technological advances in veterinary medicine and service, and most importantly, administering compassionate care to all pets entrusted to us. We work closely with you to provide the best possible care for your pet — from preventive health exams to surgery, like spay and neuter and dental procedures, we focus on providing the highest-quality veterinary care to promote and improve overall pet health. Contact Our Etobicoke Vet Team Today! If you have a question about your pet, our caring and attentive staff is happy to answer any questions you may have! You can call us at 416-245-8805 or feel free to visit us today. We are located in 250 Wincott Dr. in Etobicoke, Toronto. We want to be your partner in pet health in Etobicoke! Serving walk-ins and new clients daily, our trained veterinary staff provides the compassionate care that your pet deserves. Stop by and meet your local Etobicoke veterinary team today at Richview Animal Hospital and give your pet the compassionate care he or she deserves! 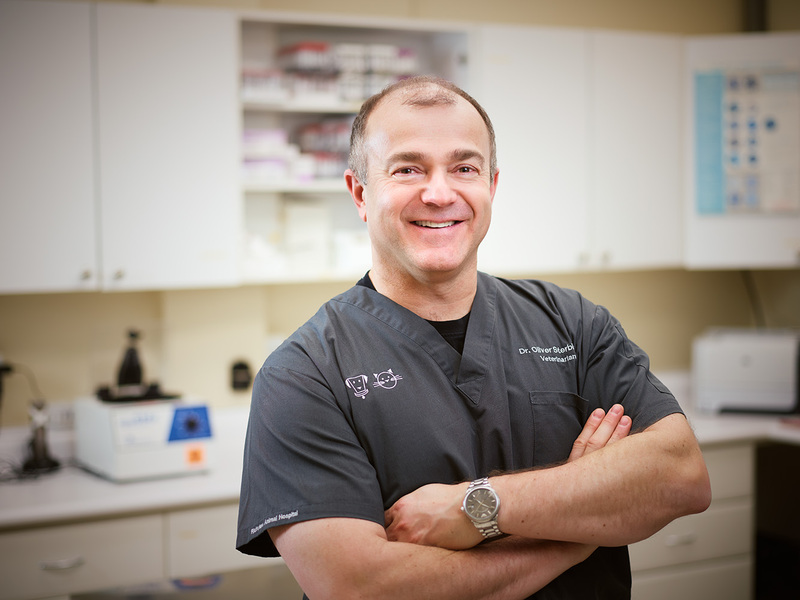 Dr. Oliver Sterbinsky graduated from the Ontario Veterinary College in Guelph in 1993. He loves the day to day interactions with his employees, clients and patients. 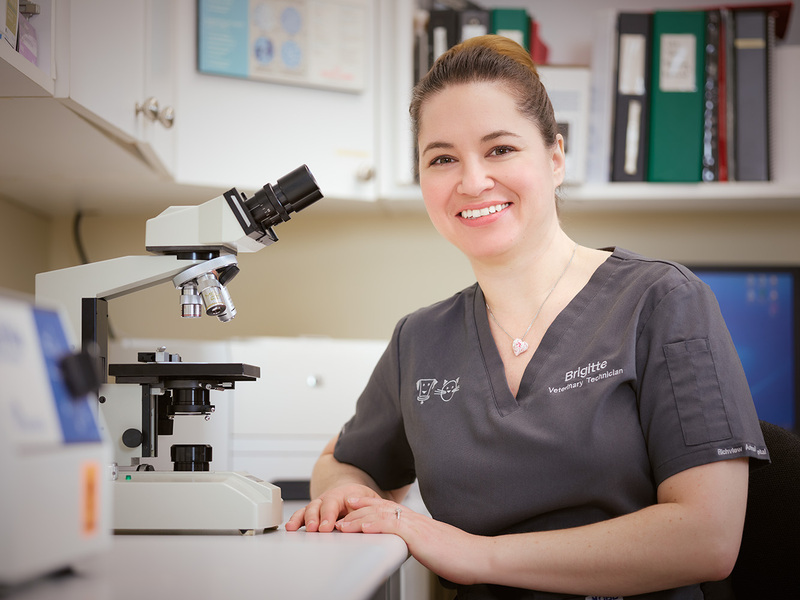 When not looking after the welfare of Richview Animal Hospital's pets at our vet clinic, Dr. Sterbinsky is a director on the bord of the World Animal Protection. He also enjoys triathlons, spending time with his family and participating in a variety of charity events. Dr. Sterbinsky is also the proud owner of a beautiful and energetic Aussiedoodle named Maya. "There is nothing more satisfying than knowing your team consistently works together to improve the quality of life of all pets and their families." 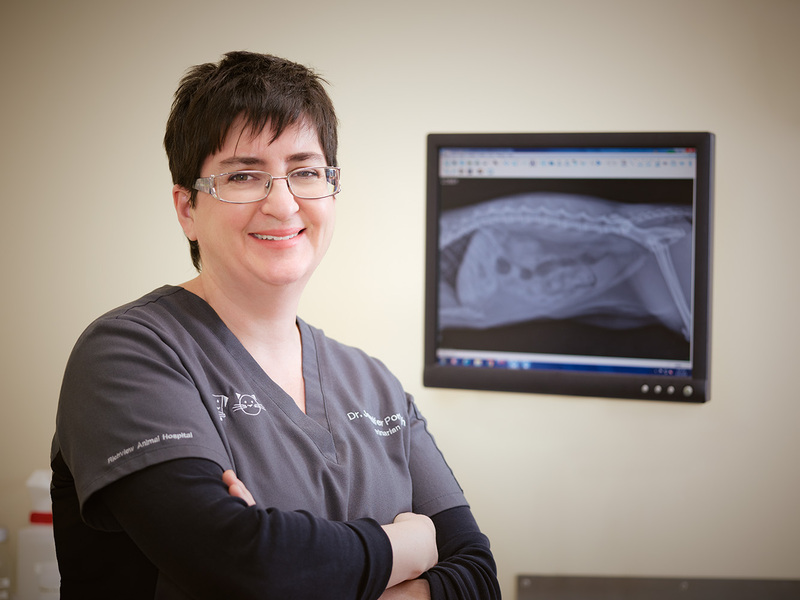 Dr. Jennifer Portch graduated from the Ontario Veterinary College in Guelph in 1996. Dr. Portch puts all of her energy into every appointment she performs. She enjoys hiking, bird watching and gardening. Dr. Portch is also the proud owner of a cat and a Border collie. "Great clientele make it easy to be a good doctor!" 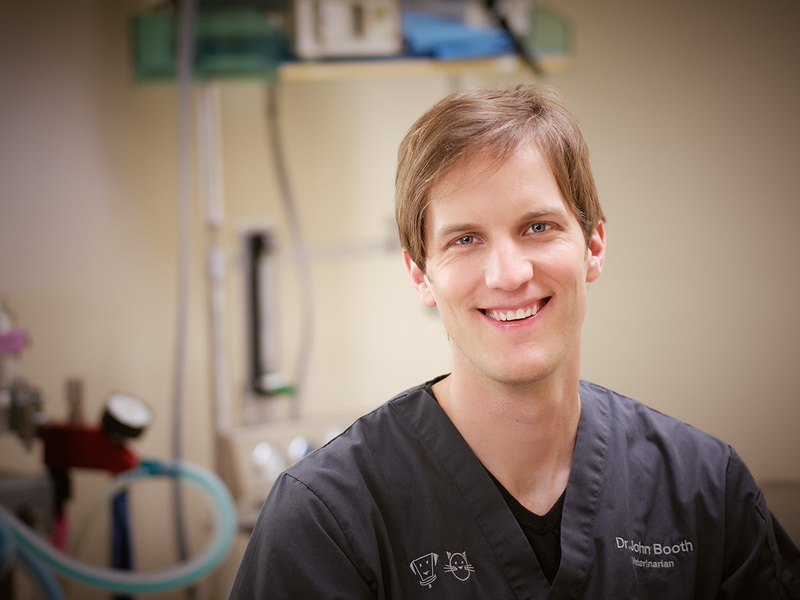 Dr. Booth graduated from the Ontario Veterinary College in Guelph in 2004. Dr. Booth loves working with clients to improve the health and well-being of their pets. In his off time he can be found enjoying the outdoors, listening to music and spending time with his family and 3 cats. 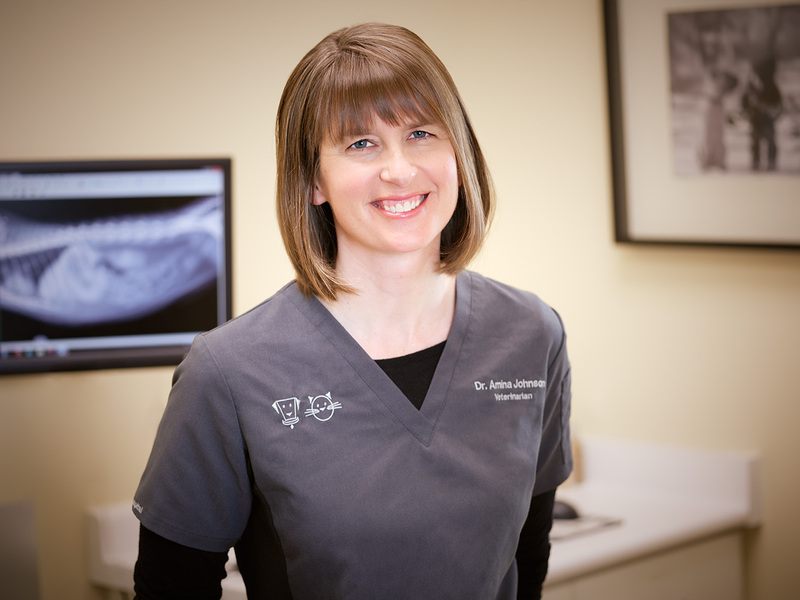 Dr. Johnson graduated from Tufts University of Veterinary Medicine in 2000. She enjoys meeting clients and discovering more about our pet community. In her off time, Dr. Johnson can be found chasing her 3 kids and her cats! She also enjoys swimming and yoga. Lisa loves working with her incredible team everyday. She also enjoys interacting with clients and their pets. Lisa enjoys cooking, entertaining and spending time with her family. 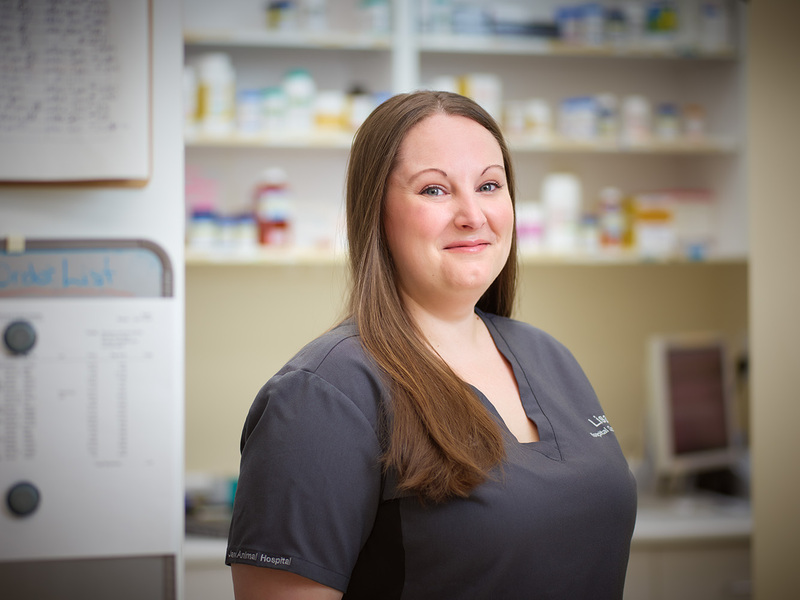 "I am most proud of being a part of a team that promotes the importance of preventive medicine and works everyday to prolong the lives of our furry family members." Brigitte's never wavering positive attitude is a great quality of hers. She enjoys trying new foods, rollerblading, and travelling. "There are so many things I love about Veterinary Nursing such as the medical aspect, the animals and the people I work with!" Charlene graduated from Seneca College in 2015 and became a licensed RVT in 2016. She is passionate in providing optimal health care to patients and strongly believes patients should be treated with the utmost care and compassion. She strives to provide a pleasant visit for every patient/client that comes to our clinic. Charlene takes pride in opportunities to educate clients on how to best tend to their fur babies. On her days off, she loves to rearrange the setting of her five hamsters' tank and watch them play. She also enjoys eating out, traveling, and drinking bubble tea. "I believe we have an important responsibilty to speak on behalf of those who cannot speak for themselves. I am proud to work among pet owners and a team that shares the same views." Krystal has a great passion for animals and spends much of her spare time volunteering the Toronto Wildlife Center and the Community Association for Riders with Disabilities. Outside of the animal health industry, she also loves swimming, martial arts and playing the violin. 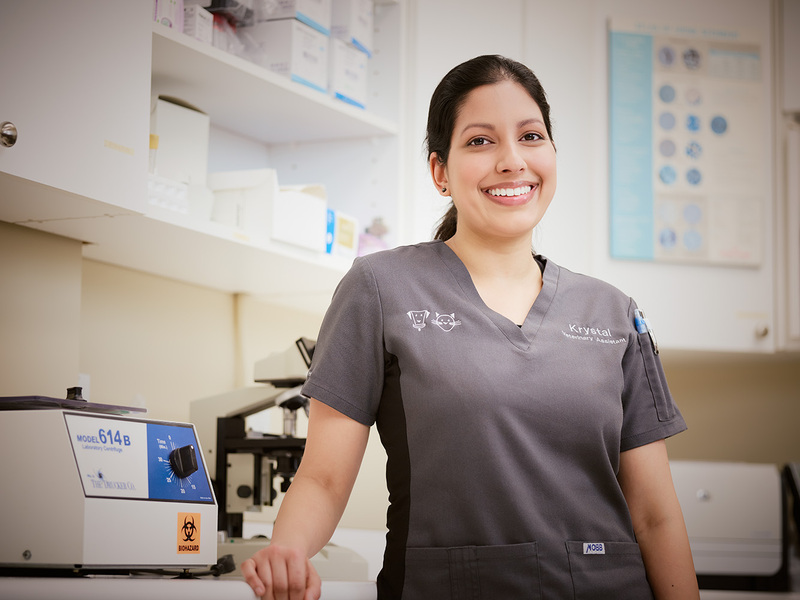 "My favourite parts about working at Richview Animal Hospital are working with this amazing team towards our common goal of animal healthcare and getting to know the unique personalities of all our patients. Mallory graduated from the Veterinary Technician program of St Clair College in 2012. She has been working in the industry for the last 9 years. Mallory loves spending time with her friends and family, which includes going to the movies, playing board games and hiking. She also enjoy yoga, bike riding and sushi. Mallory owns 3 fantastic felines named Loki, Storm and Ramuh. Loki is a sassy, orange tabby always getting into trouble and demanding cuddles. Storm, is a Princess! Super fluffy grey tabby. She loves the running water of the shower, jumps in and gets soaked every time. Ramuh is the senior member of the family, turning 15 this year! Graduated with a Bachelors degree in Psychology from the university of Guelph, Alyson has been training dogs for the past 6 years. Her cat taught himself to play fetch and did a better job at it than my Labrador retriever. Alyson loves the outdoors such as Hiking the trails, camping or swimming in a lake. As long as I'm outside on a beautiful day I'm happy. "One of the joys of working in the pet industry is meeting likeminded people with the same passion for animals. Working with animals is not a glamorous, it is one done for the pure joy of it." Teresa studied at the University of Toronto and earned her Bachelors of Arts and Science with a specialty in English. She also studied book and magazine publishing at Centennial College. There, she was part of creating a pet based magazine called Petpourri. Teresa has two dogs. They are siblings but they look nothing alike. They were the last two puppies from their litter available for adoption. Since they looked so different, she couldn't choose just one so I adopted them both. Teresa enjoys walking and hiking in nature especially in the Fall. She is also an avid Toronto Maple Leafs, and Toronto Blue Jays fan. Chantal is completing a Veterinary assistant program. She has a German Shepard, Caesar, who loves car rides! Chantal loves photography, Film and Dog Training. Ania graduated from the University of Guelph and received a Bachelor of Science in Animal Biology and a Master of Science in Animal Behaviour and Welfare. Her thesis was based on the polar bears residing at the Toronto Zoo. She has a passion for animal welfare and for wildlife, and hopes to build her own animal sanctuary in the near future. Ania has animal care experience from working at the OSPCA, an exotic animal shelter, and previous veterinary clinics. She also has a dog named Pepper, a Cocker Spaniel. He will be turning 15 years old this year but still has the energy of a 5-year-old. Hiking, biking, reading, painting, drawing, and nature photography are only a few other of Ania’s interests. Bianca has a medical terminology specialty from George Brown College. She has volunteer experience with the Toronto Cat Rescue and Etobicoke Humane Society as an adoption Administrator. Her cat Shakira is a rescue from a kill shelter in Quebec. She is a sassy calico who does not mind telling everyone who’s the boss of the house. Bianca loves to practice Yoga, Pilates and going to the movies. Nelson attend Chaminade College School as a grade twelve student enrolled as a Specialized High School Major in the environment sector and participate in the outdoors and eco school club. He has some work experience in areas other than the veterinarian industry such as an Automotive and Vespa technician and as a landscaper. My favourite aspects about working in the veterinary industry are cooperatively working with people to achieve animal health and being able to personal connection with the animals. Emma has completed her biomedical degree at the University of Guelph. She has a cat Toby. He is 13 years old and like to imitate fire sirens. Emma loves to play Ringette, Cross country and go Skiing. Chantal completed the veterinary technician program from the Northern College of Applied Arts and Technology. She also completed a a wildlife rehabilitation and grooming program. Chantal has a cat named Sorcha. She is a rescue and very timid. She follows her roommates' cat everywhere even though he doesn’t give her the time of day. It's like a romantic comedy where she is the lovesick girl that’s fallen for the tough, bad boy at school. Chantal Enjoys being with friends and watching movies or playing boardgames. She also enjoys catching up on her favorite shows, writing, music, and taking naps. All of the staff members at Richview Animal Hospital work together to insure a high level of quality care for your pets. We work hard every day to help keep your pets at their healthy best, because Richview Animal Hospital cares for your Pets!